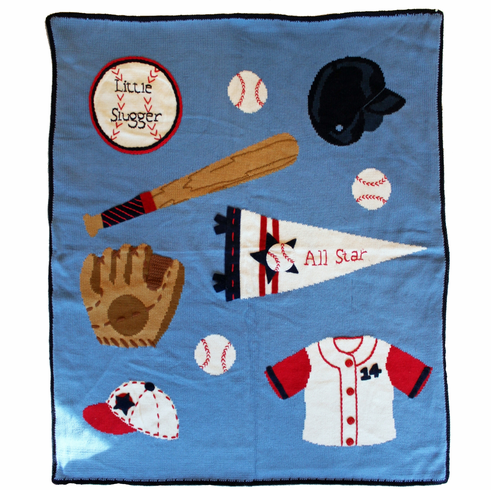 A special baseball blanket for the new little slugger in your life! Superior quality FINE GAUGE knit stroller blanket. Soft, snuggly with 100% Skivvydoodles cotton knit backing. Nice sized 26" x 32". This makes a wonderful crib blanket. Beautiful for wall or bed decor in the nursery or bedroom. Machine wash cold water delicate cycle. Matching sweaters and hats are sold separately.